is an Australian composer, sound and digital media artist currently residing in Sydney. His music and audio-visual works are increasingly performed, screened and exhibited at numerous international festivals, conferences, events and other loci, and his works have received over 20 international and national citations. 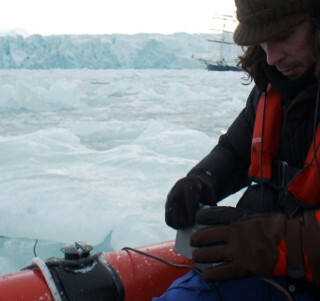 has undertaken numerous composition and sound art residencies, and is an ardent location field recordist, where he has embarked upon a growing number of recording expeditions throughout the Amazon, West Indies, Northern Europe, Middle East, Australia and throughout the high Arctic/ northern polar region of Svalbard. Whilst entirely autodidactic in electroacoustic music, sound art and digital media, he has formally studied at a number of Australian universities including, COFA – UNSW and the University of Wollongong where his doctoral degree in composition (2007) was recommended for special commendation. Other degrees include a BMus (hons), MMus, and a MA(r).